Home » 20 Interns placed! To date 20 industry interns have been placed within a variety of organisations including; Parks Victoria, DSTO and Carl Ziess Vision. Targeting NSW, Queensland and WA to increase participation in the program in these states Intern information events are being held over the Access Grid network helping to effectively promote the scheme interstate. The intention is to make the APR.Intern Program a familiar and attractive option for PhD students and their mentors interested in gaining industry links and experience. 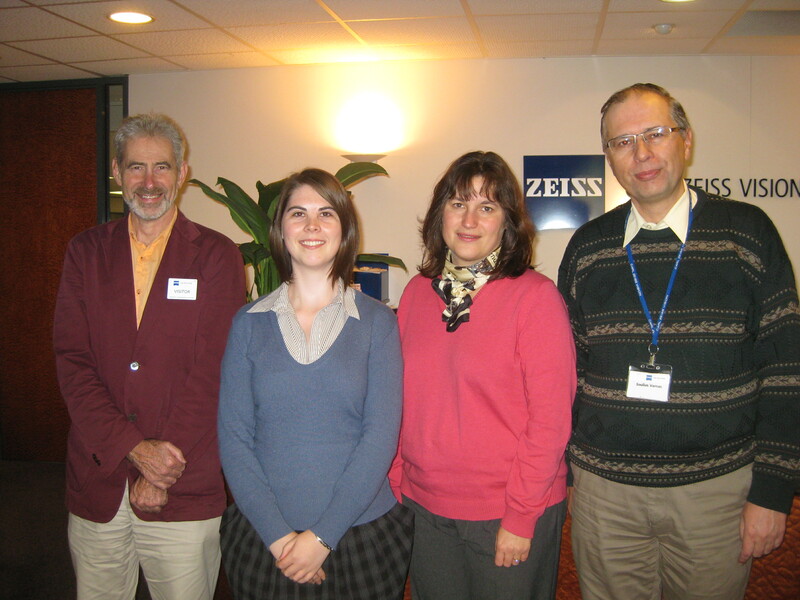 Team Members of the Carl Ziess Vision project.